Windows in Mellon, Clay and bird wings. This annual exhibition is a diverse collection of ceramics, paintings, drawings, prints, sculpture, textiles, and photographs that elegantly represent the artistic talent of the St. John’s College Community (students, faculty, staff, alumni, & friends). 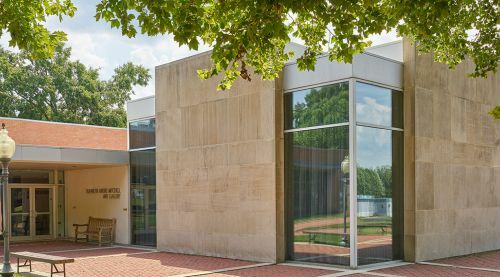 April 28 Artists Opening Reception and Charles Vernon Moran Prize Announcement from 3 to 5 p.m.
Browse the archive of past exhibitions from 1989 to the present for the Mitchell Art Gallery.